I recently had an Avaya phone in a reboot cycle. It would boot up, then when it registered it would lock up and after a couple minutes reboot again. The display looked like it was up and running fine, but when you press the SPEAKER button I would get three beeps. This is typically what happens when a phone cannot get TCP/IP signalling traffic to the call server. And the night before we had some maintenance on that Ethernet switch so I immediately suspected a network problem. Just in case, I did a “CLEAR” procedure on the phone. Then I swapped out the phone. Then I swapped out the patch cables (at both ends). Then I moved the phone to a different port in the Ethernet switch. No matter what I did, the phone locked up. Then I tried something I probably should have tried earlier – I logged in a different extension and it worked fine! Then I logged the “bad” extension into a different phone and it locked up! If the file were missing, the phone would use default values and create the file at the next backup. However, since the file was there, the phone processed it but ended up locking up because it was incomplete. In all my years working with these phones, I’ve never seen that before. I wouldn’t have thought it possible for the phone’s interrupted “HTTP PUT” operation to result in an incomplete file on the web server, but there you go. Hopefully this helps you. This entry was posted in Avaya, data, pbx, voice on April 11, 2013 by roger. I recently went through an ordeal with a PBX resetting. It’s an Avaya system using an IPSI to connect a port network back to its host, but this situation applies to anyone out there using QOS on their MPLS network. I’ve often said that being a “phone guy” is rarely about phones anymore. Most of my work – certainly troubleshooting – involves IP networking. So I had a PBX with one IPSI that would occasionally reset. Since there was only one IPSI, the reset would cause all cards in the port network to reset as well, which would drop all calls in progress. Now this is about the worst thing that can happen when you’re responsible for the telephones. Full system outages are easier to understand. 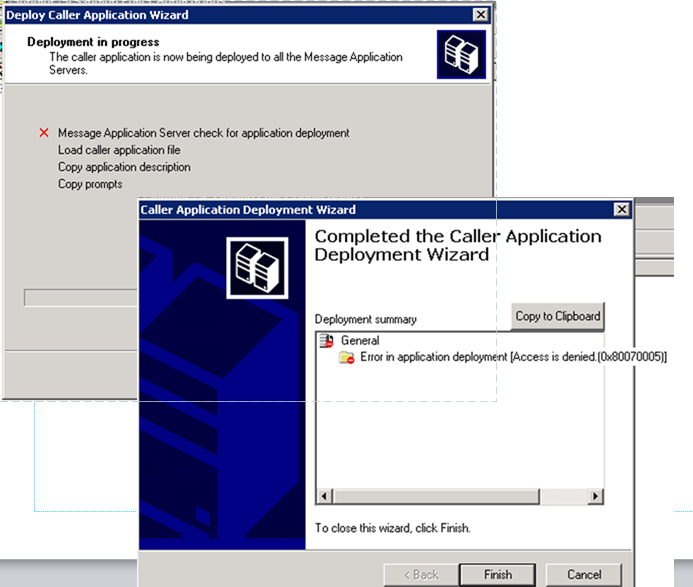 This is a reset, calls drop, users get frustrated and re-establish their calls, then it would reset again. It was a really bad situation. I have stripped the date/time; you’ll see those on the left. Port networks and IPSIs are zero indexed, so the messages above apply to port network 4 and IPSI number 1. I have been told that occasional sanity failures are just a part of life. These heartbeat messages are part of the Avaya protocol, not ICMP. So if you’re missing heartbeats, it’s not because ICMP is being dropped. Unfortunately, this means my CM lost connectivity to the first IPSI on port network 4. If I only have one IPSI, then the IPSI and all cards in the port network will reset. If I have a redundant IPSI, then the port network will failover and everything should be okay. In my particular case a second IPSI would not have helped me. It turns out, my MPLS carrier (who had also set up our edge routers) was policing the committed access rate. I’ll explain with more detail in my next post. The resolution was to shape the traffic rather than police it. Really? I’m the only person on the entire Internet to get this message from an Avaya Session Manager? I’m trying to integrate Avaya Aura Session Manager 6.1 with an Audiocodes MP-118. I have it working in one direction so far. If all goes as planned, I’ll get this figured out and will forget all about the cause for this error 481. Alas, I look forward to it already. UPDATE: This turned out to be sort of an asymmetric route. In the chaos and confusion of the moment, I had Session Manager A sending calls to the Audiocodes, but the Audiocodes sending responses back to Session Manager B. Hopefully this helps someone out there. This entry was posted in Avaya, pbx on March 1, 2012 by roger.